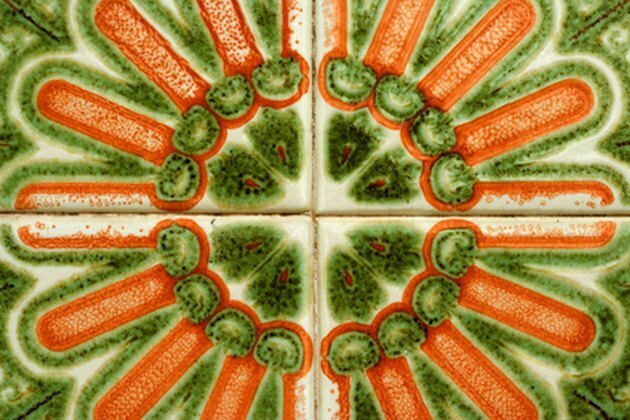 Ceramic tile, primarily for kitchens and bathrooms, can be used on floors, back splashes, walls and counter tops. Staining ceramic tile can change the ambiance of a room. Before staining the tiles, decide whether you want to stain the grout as well. If not, mask off the grout so that it does not get stain on it. Although it is much more difficult to mask off and protect the grout, the end effect can be worth the extra trouble. Scrub ceramic tile before staining it. Sweep off the ceramic tile with a broom and dustpan. Mix up the oxygen bleach powder with water as directed on the label. Spread the solution all over the floor and wait for 10 minutes before vigorously scrubbing all of the dirt and debris away. 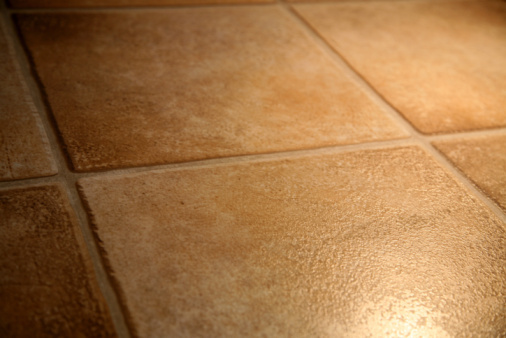 If you are planning on painting the grout, give the grout 48 hours to dry. Carefully mask the grout with acrylic masking tape if you do not want to include it in the staining. Dip the paint brush in the urethane resin stain. Urethane resin is a type of adhesive that sticks to ceramic tile very well. Paint the ceramic tile in 5-by-3 tile sections at a time. Brush with smooth and even strokes. If you see the brush strokes, try a softer brush. Continue until the whole ceramic surface is covered. Allow 24 to 48 hours to dry completely. Spray the ceramic tile with the polyurethane spray. Wait four hours before applying another coat. Sarah Coennen writes about the medical industry, health, fitness, alternative medicine and animals. She has been a freelance writer since 2009.